Why make home remodeling tougher than it needs to be? Check out our 11 hacks for home remodeling and you’ll be left with tons of ideas for your next home remodel. Take a page out of Harry Potter and create a little extra room under the stairs. If you have a nephew you hate, they can have a tiny room here but we think this space is great for some extra storage. Think of it as a space to store your winter boots and coats or you could even use it as a hiding space for your kids to play hide and go seek. Here is another great space saving idea. Why do you need extra space between the bottom of your cabinets and the floor? Make this extra space into a drawer for kitchen supplies such as cookie sheets, pans, utensils, and items you don’t use as often. Imagine sipping your morning coffee on a balcony right outside your bedroom window. Add a balcony onto your master bedroom for the ultimate hiding place from your kids. This will require the work of a skilled and experienced contractor, but it will be well worth it. What’s better than one dishwasher? How about two dishwashers right next to one another? Add another dishwasher in your kitchen and you never have to worry about leaving all those dirty dishes in the sink while you wait for your dishwasher to finish washing the first round of dirty dishes. Having a utility sink in the laundry room can be a lifesaver. When you need to pre-rinse a shirt before you throw it in the laundry or fill up a large bucket with water for mopping, a sink in the laundry room is a perfect place to do so. If you want to add a little extra, you can install a sink with jets and wash some of your more delicate clothes in the sink. 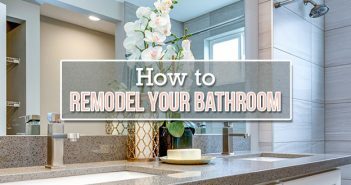 When you think about the time and money you’ll save from not having to wash glass shower doors, you’ll be asking yourself why you didn’t think of a walk-in shower earlier. A walk-in shower is not only great for less cleaning but great when you want a little extra room in the shower. Whether you want the trash chutes in the wall to be for any type of trash or just for compost, this is a simple way to get rid of your unwanted kitchen waste. Having trash chutes that go from the kitchen straight into the trash cans or compost piles will keep you from unnecessarily emptying your trash. Sometimes one refrigerator just isn’t enough, if you could use a little extra space for beer, pop, water, or snacks, you should consider installing a mini-fridge right into your kitchen island. If you don’t have a kitchen island, don’t worry because we wrote an entire blog post explaining how to make your own kitchen island. Wouldn’t you love to star gaze from your own bed, you can when you install skylights in the bedroom. While cutting into your ceiling may be a little too complicated for most homeowners, you could ask a local contractor for some help. Having a fireplace in between your bedroom and bathroom would allow you to sit in the bathtub or lay in bed and feel the warmth of the fireplace. 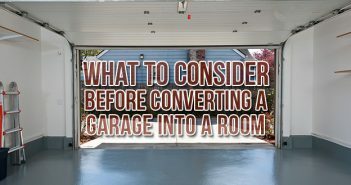 This remodeling hack will take the work of an electrician or contractor to get done but it would be well worth it. A sunk-in living room is great for parties and having conversations with a large group of people. You can add a bunch of pillows and blankets to give it a warm vibe. Be careful if you have small children because they could easily fall in. 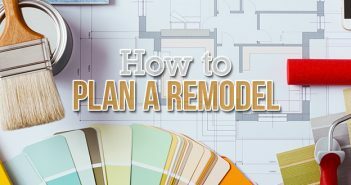 This remodeling hack is a bit difficult to DIY so you may require the help of a general contractor. If you are considering remodeling your home, give Budget Dumpster a call. We offer many different roll-off dumpster sizes that can be perfect for any type of home remodeling project you have. Do you have an idea for a remodeling hack we should have mentioned? Leave us a comment with your suggestion!